The beloved fairytale is brought to life through rustic décor and iconic music. During this immersive character dining experience, you’ll be visited by Snow White and a few of her forest-dwelling friends. You might even have an evil encounter with the Queen! In addition to fun characters, tempt your taste buds with a seasonal themed menu that combines classic dishes with playful presentation. You’ll begin your story with an array of delicious shared appetizers: Hunter’s Pie with chicken, black truffle, and stone fruit preserve; Winter Squash Bisque with caramel loli and granola served in an adorable black cauldron; Wicked Shrimp Cocktail with soy, miso, avocado, thai chili, and greens; and From the Garden, an array of fruits, vegetables, cheese, and create-your-own honey butter. For the main entrées, you’ll enjoy your choice of one of the many unique dishes such as the Royal Prime Rib Roast with horseradish mashed potato, hay-smoked carrots, popover, and jus as well as Magic Mirror Slow Braised Veal Shank with mashed celery root, wilted winter greens, and jus. 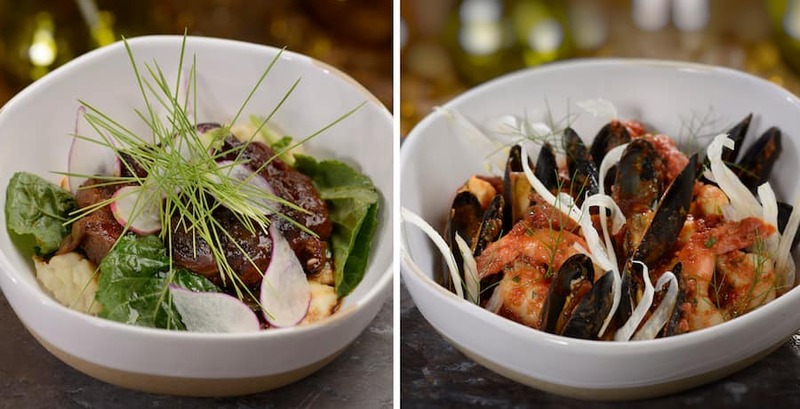 Or if seafood is more your style, try the Seafood Stew with shrimp, bay scallops, mussels, tomato, and fennel. Kids can enjoy Grumpy’s Grub. This includes the same appetizers and desserts as the main menu and their choice of entrée. Kid’s entrées include the Princess Pasta (with your choice of red sauce or cheese sauce), the Vegetarian Steam Bun (with crip shiitake, hoisin, pickles, and cilantro), Royal Prime Rib Roast, and Grilled Chicken (both served with roasted potatoes and broccolini). Give your story a sweet ending with an array of shared desserts for the table. Sing “Heigh Ho” as you discover The Miner’s Treasure made up of sponge cake, chocolate gems, and buttercream icing or enjoy the enchanted flavors of the Fairy Tale Gooseberry Pie with meringue. 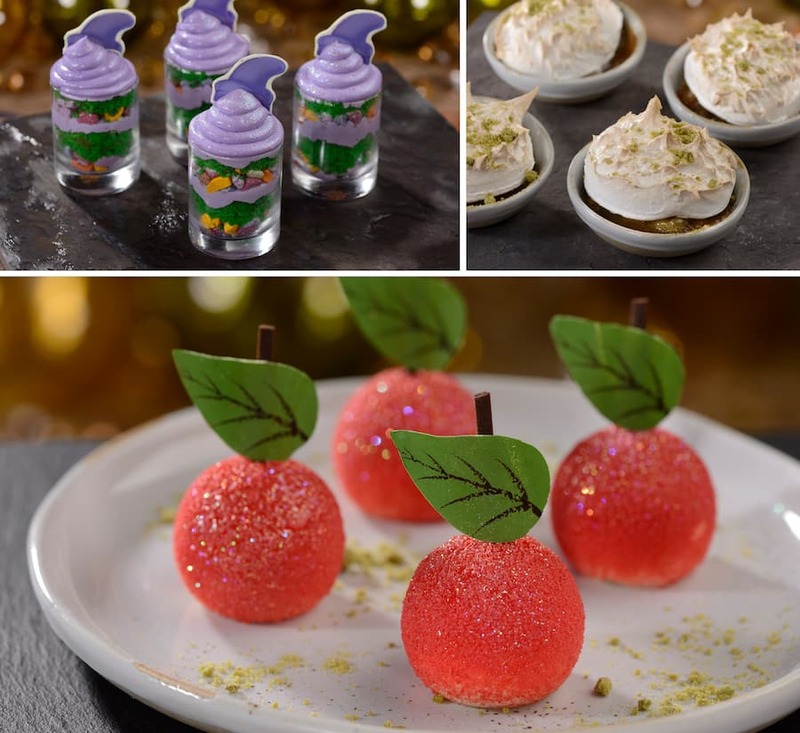 You can even try a “Poison” Apple made of white chocolate apple mousse with a sour center. But if you’re trying to impress, The Hunter’s Gift to the Queen is just the thing with crackled maple popcorn and ganache hearts. If you’re feeling a little thirsty while you’re eating, try some of the wickedly refreshing cocktails and non-alcoholic mocktails we’ve brewed up just for you! 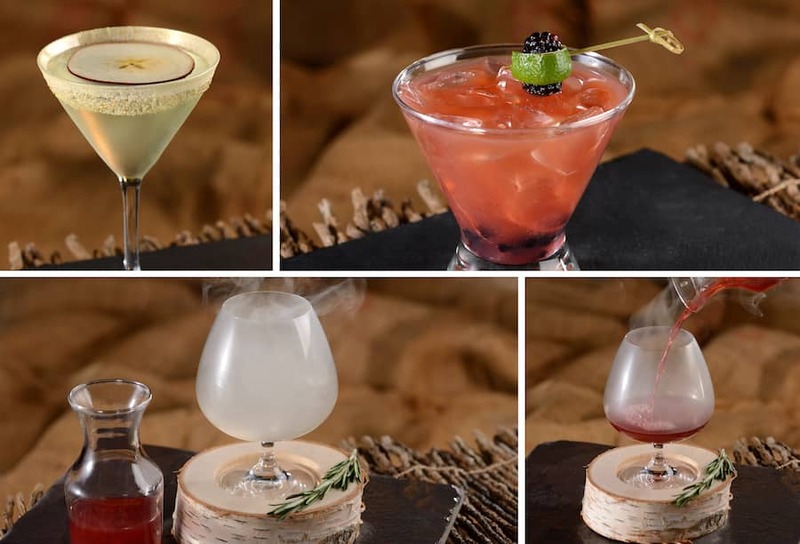 For the adults, sip on the Enchanted Apple with citrus vodka, sour apple, and white cranberry juice or summon The Smoking Mirror with scotch, wildberry, lime, and rosemary smoke. If you’re feeling particularly evil, you’ll love the Evil to the Core with silver tequila, habanero, blackberry and orange juice. A variety of beers are also available along with a selection of highly-rated wines from Oregon and Washington State. Non-alcoholic options for the little miners out there include the Transformation Potion with sparkling lemonade and the Stone Fruit and Berry Breeze with herbal tea infusion. 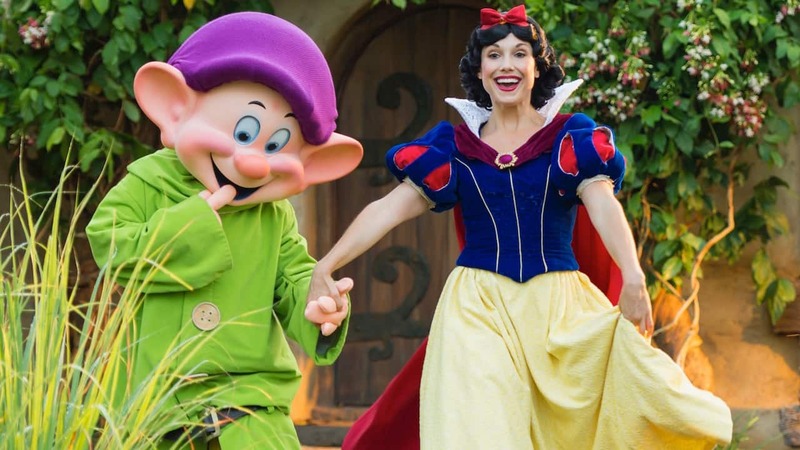 Snow White has invited all of her new friends to this magical character dining experience, and she’s inviting you too! 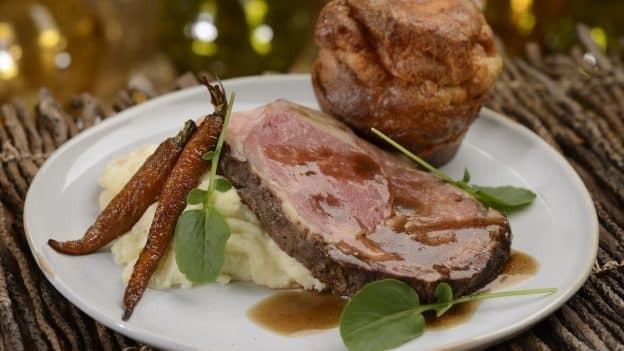 So make a journey to Disney’s Wilderness Lodge to experience Storybook Dining at Artist Point starting December 16, 2018. Pricing is $55 for adults and $33 for children ages 3-9 (tax and gratuity not included). Each guest will receive one of each appetizer, their choice of entrée, and one of each dessert as well as their choice of non-alcoholic fountain beverage (alcoholic and non-alcoholic specialty beverages are not included). All menu items are subject to change. 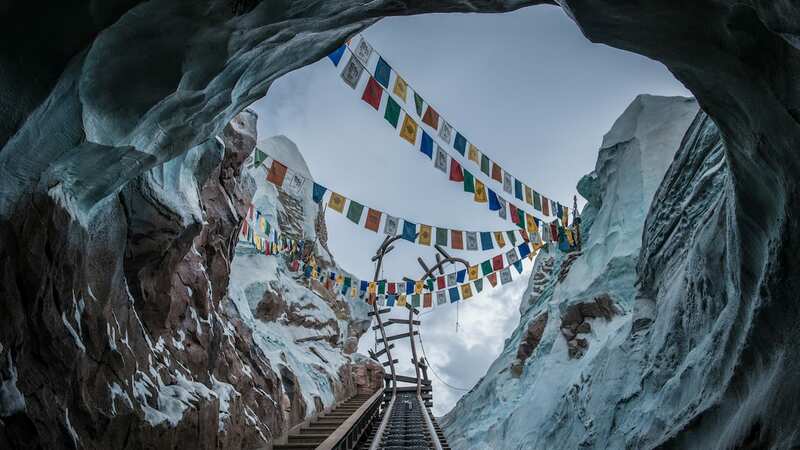 I am disappointed that the old Artist’s Point has become a character experience. It was wonderful to have the option of a quiet dining experience at WDW. The only character I will be missing is the old menu. I am also wondering if this is 1 or 2 Dining credits. Thanks! 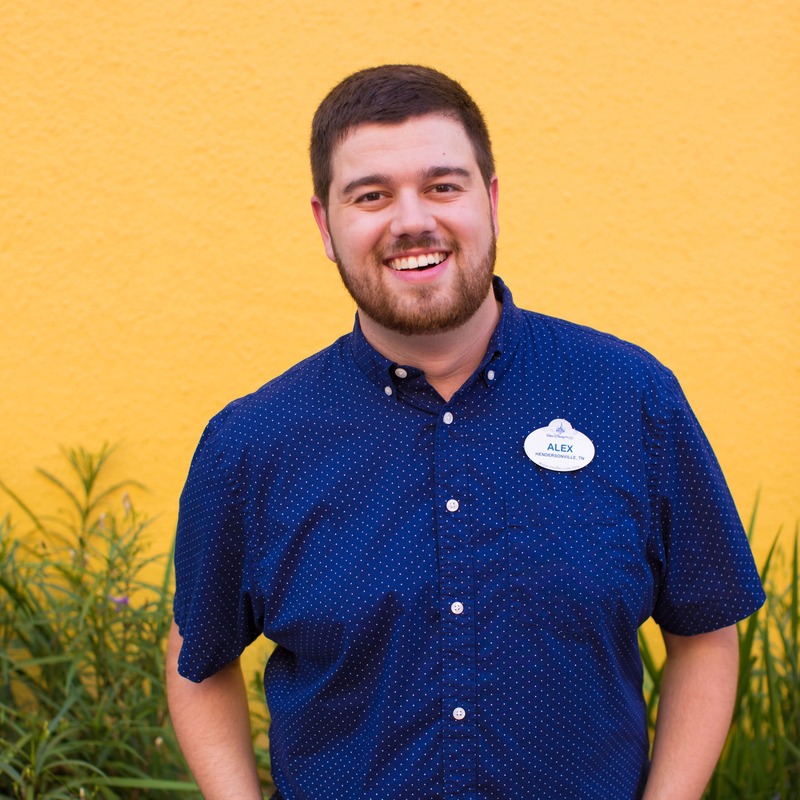 Hi I’ve read and seen different things based on the dining plan is this 1 credit or 2 credits I’ve seen different places say two different things … thanks ! How long are the wait times without a reservation? We are taking a last minute trip and really want to eat here! I have a reservation for January and I will use my dinnig plan. however I am stomach reducion (gastroplasty) and usually split meals with my daughter. we can go 3 me, husband and daughter and use online 2 credits because I will share the food with her? We love Artist Point. So sorry to lose it. There are so many fun selections that it will be hard to choose just one! I can’t wait to dine here during our next trip. Enough with the Character Dining. Sometime you just want a great meal in a beautiful setting. We loved Artist Point and will miss it. This hotel needs a fine dining restaurant. Sorry to see Artist Point go. It had been one of our favorites. I realize character dining is attractive to families but for those with older kids it has little appeal. The new menu also has very limited and not terribly appealing. The change leaves the expanding Wilderness Lodge area we very poor dining options. To anyone hoping for a reservation during Christmas week, check again. I just found my pick of dates and times for four between 12/24-1/1! I think this is my favorite character ensemble for dinner! I seriously hope we can snag a reservation for our Nov 2019 trip! I’m so sad. My husband and I had our wedding dinner 20 years ago at Artist Point and it has become a tradition to return every year and every time we visit. We’ve even brought many family and friends with us over the years. It’ll be sad to end such a meaningful family tradition. But also it leaves nowhere else to have a nice quiet dinner at Wilderness Lodge. I’ve been on the phone for about 25 minutes… the reservationist cannot find a table for us. IN ONLY 3 DAYS — IT IS BOOKED SOLID THROUGH APRIL 5TH. The reservation clerk was very helpful and patient while we tried to find a date. SHE SAID TO TRY BACK LATER…extremely disappointed that we can’t get a table. Ever since I read about this new dining experience I have been waiting patiently for the reservations to open up. I could not get in until January 11th but that’s ok. If you want to go you need to book soon. It’s filing up fast!! My wife and I are going to miss the old Artist Point. This is just beautiful and delicious looking cuisine! You instantly had me with the prime rib and popover but as I scrolled down, my goodness those little cauldrons are just adorable! Too many incredible items to choose from, MUST reserve our families dining to include Storybook Dining at Artist Point! Can’t wait! Do you know how many credits this will be on the Disney Dining Plan? It sounds like such a wonderful dining experience, I was very eager to go and take my kids for this experience. However I am very sad as it is only opening on the 16th of December which will be days after our very first and probably only visit to Disney! December is such a special time and it would be so wonderful if they opened it at the beginning of December that more people could experience it.